Now we know that Intel has been busy in bringing their new Ultrabook devices to the market. 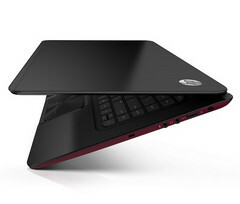 However they seem to be a bit concerned about the new HP Sleekbook branded laptop of being a bit similar to them. Intel believes that consumers might get confused with the Sleekbook to be another Ultrabook or something similar to that of an Ultrabook. The Sleekbook brand of laptops is something similar HP has put up with the help of AMD. In an interview with LAPTOP, Karen Regis, Intel’s Director of Ultrabook marketing thinks that the Sleekbook could potentially lead the consumers confused about Ultrabooks. They want to be sure to make the consumers understand that the Ultrabooks are not just a pretty face in a sleek form. It is more than that; it includes a very powerful machine which can provide a backup up to at least 5 hours or even more in some cases. She also admitted that their Ultrabooks were a bit too expensive for the customers, but now the manufacturers can cut down on the cost by using aerospace industry-grade plastics instead of metal. She also mentioned that Intel might have to step up its hardware requirements for the vendors so that they are prepared to take advantage of all that Windows 8 will offer. She also explained that the hardware vendors need to focus more on displays and track pad quality, as the touchscreen and gesture support, which is expected to be introduced to the latest Windows platform.